Love cats but have never been able to share your humble abode with one due to the dreaded ‘A’ word: allergies? You’re not alone! According to the American College of Allergy, 10 percent of the population is allergic to household companions, with cat allergies being twice as common in Americans than canine allergies. So, is there a solution to the problem? Kinda-sorta. Hypoallergenic cat breeds. They sound more fiction than anything else, but hypoallergenic cat breeds do actually exist — making co-existing with cats a dream come true for allergy sufferers! Do hypoallergenic cat breeds exist? 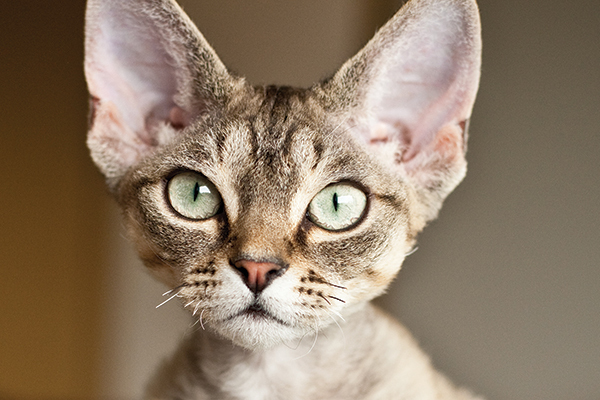 Is the Devon Rex cat hypoallergenic? Photography by insonnia/istock. Though no cat is 100% hypoallergenic, we’re about to give you the lowdown on a handful of hypoallergenic cat breeds known for producing fewer allergens — so the two of you can live in harmony! 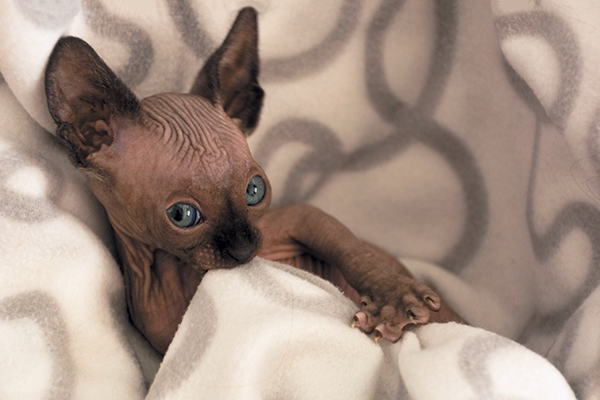 Sphynx cats unsurprisingly make our list of hypoallergenic cat breeds. Photography ©GlobalP | Thinkstock. 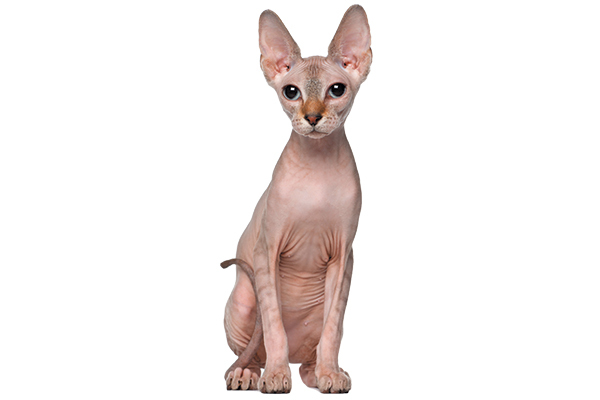 At the top of our hypoallergenic cat breeds list is a breed that may not surprise you … the Sphynx. His lack of fur makes him numero uno when it comes to hypoallergenic cat breeds, but that doesn’t mean that he comes without maintenance. Daily ear cleanings will keep his large ears in tip-top shape, while weekly baths will keep oil build-up at bay! 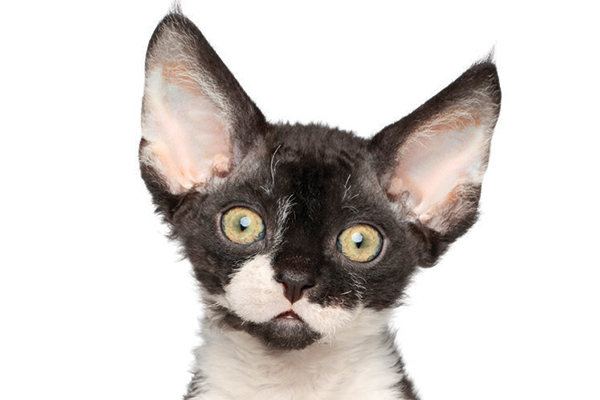 The Cornish Rex’s downy undercoat makes him a good choice for allergy sufferers. Photography ©ElenaBoronina | Thinkstock. Following the full-on hairless Sphynx are two ravishing kitties from the Rex line: the Cornish and the Devon. The Cornish Rex is covered only in a downy undercoat, as opposed to having the three layers of fur (outer, middle and under) that most breeds have, making him the most hypoallergenic of the duo. It also makes him a bit more high-maintenance as, like the Sphynx, he does require weekly baths to prevent oil build-up on his skin. Devonshire Rex cats might also be a fit for cat lovers who have allergies. Photography by Eric Isselee/Shutterstock. Dubbed the ‘monkey in a cat suit’ due to his circus-like antics, the short, curly-haired Devonshire Rex doesn’t require the same baths that the Cornish Rex does. However, his paw pads and ears do well with frequent cleanings to remove oil build-up. Not all hypoallergenic cat breeds are hairless cat breeds! 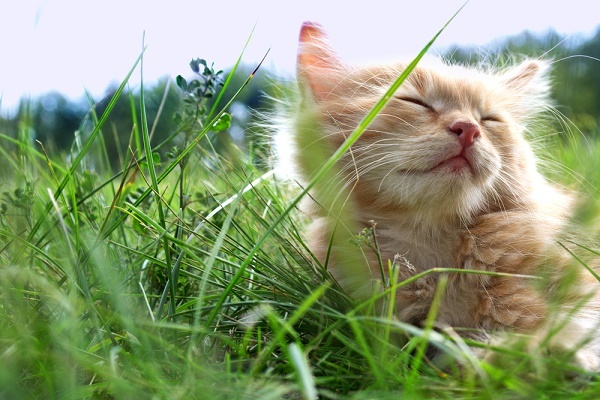 As unbelievable as it may sound, some of the most hypoallergenic cat breeds are those who sport quite the manes — further proving that it’s the level of FelD1 protein produced and not the cat fur itself that causes you to achoo! 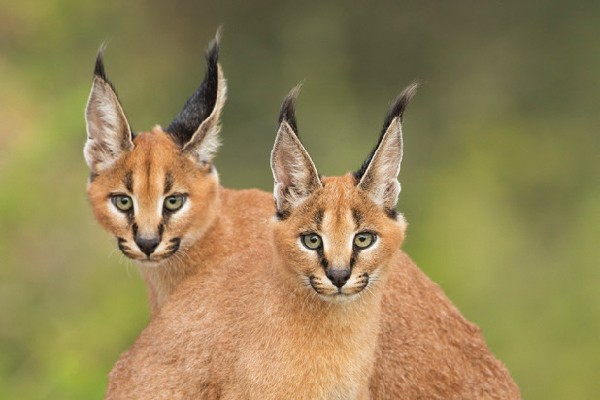 So, who are these fierce felines? Let’s take it from the top. 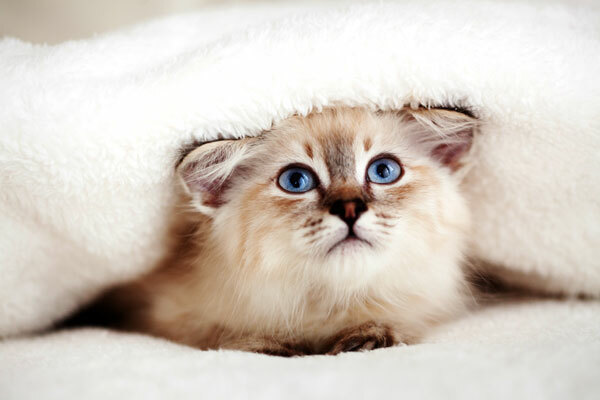 Long-haired kitties like the Siberian make this list of hypoallergenic cat breeds, too. Photography ©jkitan | Getty Images. Known for her moderately long coat, the Siberian is the last breed you might expect to land on a list of hypoallergenic cat breeds, but here she is! The Siberian cat actually produces less FelD1 protein and dander than other cat breeds, making her the cat’s meow for allergy sufferers. A Balinese and her Javanese cousin produce less of the FelD1 protein. Photography by Bildarchiv GMBH/iStock. Two more for the long-haired team: the Balinese and the Javanese. 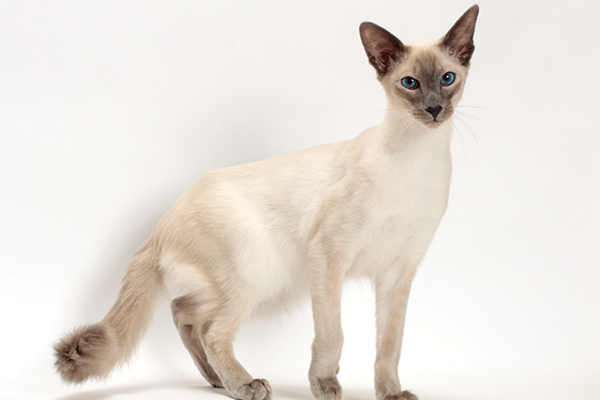 Like the Siberian, the Balinese (known for her long-haired Siamese beauty), is another one of those hypoallergenic cat breeds who produces fewer FelD1 protein, so her presence is more agreeable to allergy sufferers than, say, a Persian. And the Javanese? She lacks an undercoat, which amounts to less fur, and less fur results in … fewer allergens! Bengals groom themselves less frequently, earning themselves a spot on the hypoallergenic cat breeds list. Photography by Shvaygert Ekaterina / Shutterstock. 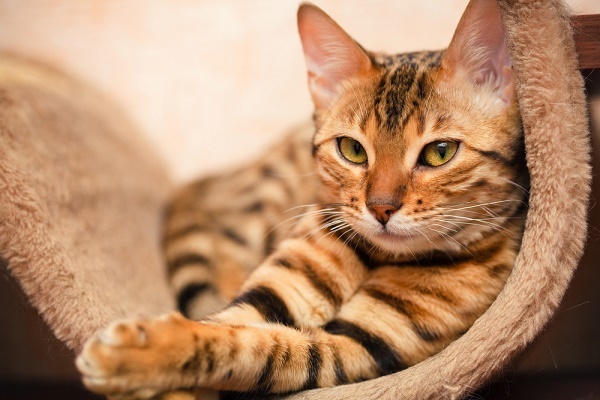 Due to his leopard-like looks (he does have Asian Leopard Cat genes in his blood), the Bengal has been a fan favorite with feline fanciers for years, but he’s also an amazing choice when it comes to hypoallergenic cat breeds. Bengals groom themselves less frequently than other breeds, so his fur has a lower count of FelD1 protein, making him an exotic option for your hypoallergenic home! Talk about a game-changer, right?! Now that you’ve met a few beautiful hypoallergenic cat breeds, you have the chance to fulfill the ultimate dream: becoming a cat parent! After all, why should allergies stand in the way of kitty cuddles? Tell us: Are you allergic to cats? 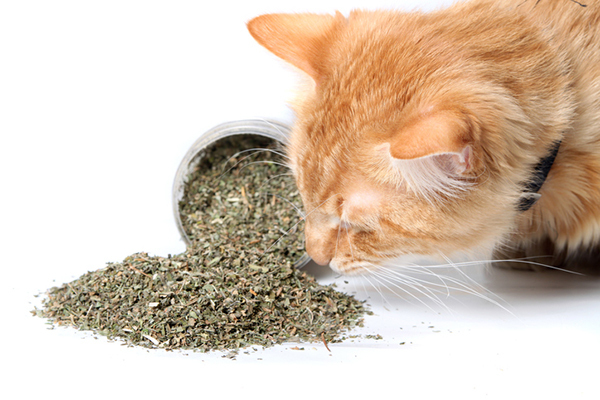 How do you make living with cats and allergies work? 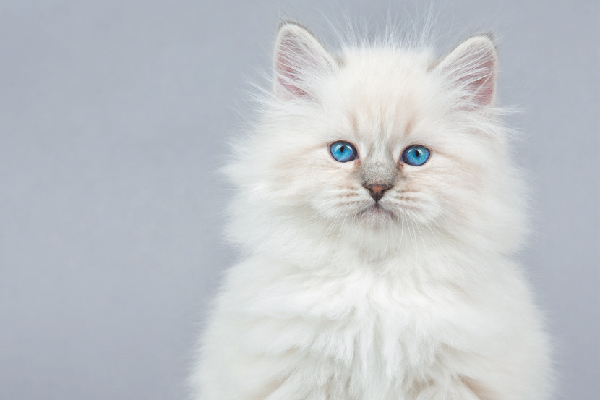 Would you ever try parenting any of these hypoallergenic cat breeds? Let us know in the comments! 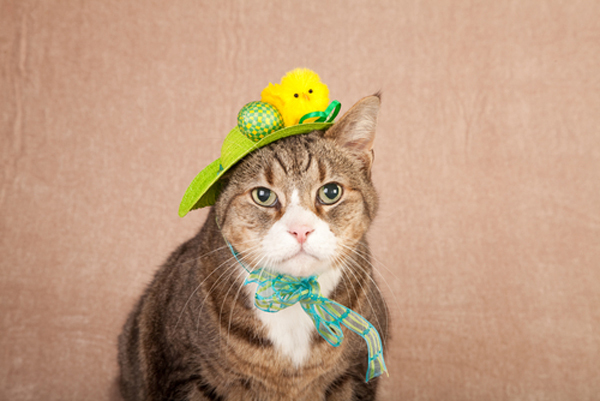 Thumbnail: Photography by Alena Ozerova / Shutterstock. I’ve had allergies to both dogs and cats since childhood. I can’t be near a dog. I have had Siamese cats because they are so beautiful. I’ve found the purebred less reactive. I’ve learned to take allergy pills and eliminate dustcatchers and to do lots of cleaning. By accident, I recently adopted a Himalayan kitten, so I’ll have to see how that goes! Thank you for your lovely column. My husband is severely allergic to cats to the point it affects his asthma and he cant breathe. Our son Loves cats and we want to get him a Bengal but we are afraid to bring one home, fall inlove, only to realize we can’t keep it. I would like to know others thoughts or experiences who are also severely allergic like my husband. My wife has been highly allergic to cats and dogs all her life and sleeps with my bengal cat right by her face. when we were dating she went to the breeder to pick my lil guy up and in a room of 9 kittens she was totally fine. Love your story, I had a Ragdoll– Ragamuffin and they are the best breed ! I’m allergic to cats and I have three of them in my one bedroom condo. The more you are exposed to the allergens, the less sensitive you become. As long as I don’t touch my eyes or let them sleep on my pillow I’m fine. Going to long without sweeping the floor can sometimes give me an asthma attack, so I make sure I use my inhaler before cleaning my place. Not having a carpet also reduces the amount of allergens in my place as well. I love cats; allergies are not going to get in the way of having them! I’ve been allergic to cats and dogs since I was a child but I’ve always loved cats and had them. My allergies to cats seem to have gone away over the years so maybe I’m just lucky. Wonderful, informative article. Very well written. We have a beautiful Bengal, chosen as my daughter has a severe allergy to cats. If she loves and kisses her too much she does get a little bit sniffy, whereas in a room with another puss she can suffer terribly without having any contact with the cat. We are all madly in love with our Bengal, she has an adorable nature, follows us around and chats to us – waits in the hall for me to come home from work and is impressively intelligent. Will snuggle up on her terms and loves being loved. If you have an allergy and want a beautiful friend I highly recommend this breed. We have two Russian Blues – no problems with my allergies. Yes, no idea how the Russian blues were left off this list. Appreciate your sharing the “allergy experience”, with said kitty. Cu need the same. I have allergies and asthma. I had cats and miss my 3 babies so very much. They were my company and help with my depression, anxiety. I would love to be able to have a cat again. Miss the companionship and love they give. You should look into Ragdolls. Both me and my mom have severe allergies to pet dander. So much so that the pet doesn’t have to be in the same room. Just the dander on the person and we react. Anyways, my sister came to visit us with her Ragdoll, Lola. Normally both me and Mom are reacting within 2 minutes. After 2 hours we still hadn’t reacted. Turns out they don’t have an undercoat. A year later and I have adopted 2 Ragdolls.